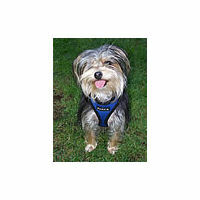 The Soft Harness by Puppia is the classic vest harness for small dogs. Soft, safe and comfortable. 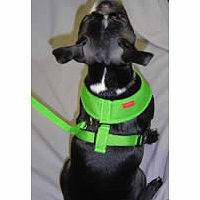 A great no-choke harness for your little dog. You can earn 22 Golly Gear Rewards Points on this product! 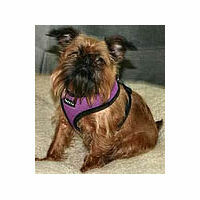 Safe, stylish and comfortable harness for small dogs! 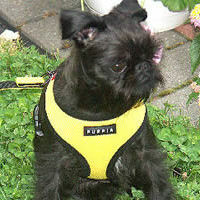 Your small dog will be comfortable, safe and stylish in the Soft Harness by Puppia. 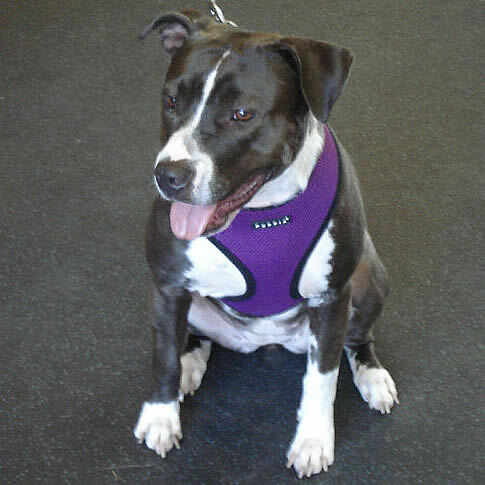 The front and collar portion is made of a cushiony polyester air mesh that fits broadly across your little dog's chest so she can walk comfortably, as you can see on Keisha (left). The leash ring is at the shoulder blades. 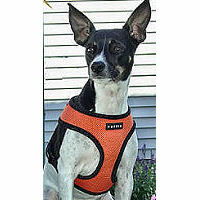 This small dog harness is no-choke - any pressure from the leash is distributed evenly across his chest and back instead of at his neck! 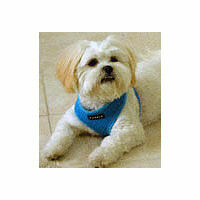 The mesh is edged in super-soft matching or contrasting velour. 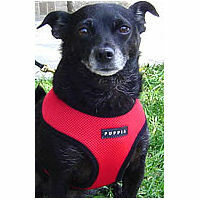 The neck portion is not adjustable, but the chest strap is adjustable. 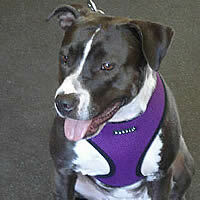 The leash ring (just over the shoulder blades) is a nickel color. The pinch clasp and adjustment hardware are black. 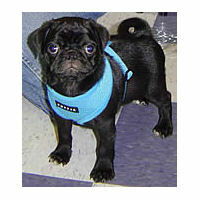 Don't forget a matching leash! Guidelines for measuring for the best fit (opens in a new window). 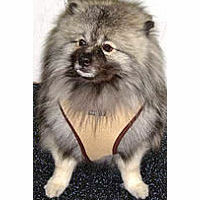 When measuring your little dog for the Soft Harness, keep in mind that the neck is not adjustable and must fit over your small dog's head.